One of the world’s top experts in behavioral finance offers innovative strategies for improving 401(k) plans. Half of Americans do not have access to a retirement saving plan at their workplace. Of those who do about a third fail to join. And those who do join tend to save too little and often make unwise investment decisions. In short, the 401(k) world is in crisis, and workers need help. -Save, even if they aren’t ready to do so now, by using future enrollment. -Save more by showing them images of their future selves. -Save smarter by reshuffling the order of funds on the investment menu. 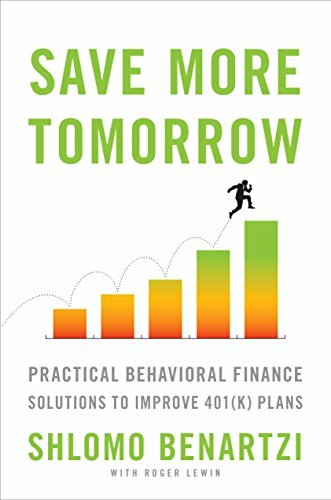 Save More Tomorrow is the first comprehensive application of behavioral finance to improve retirement outcomes. It also makes it easy for plan sponsors and their advisers to apply these behavioral tools using its innovative Behavioral Audit process.